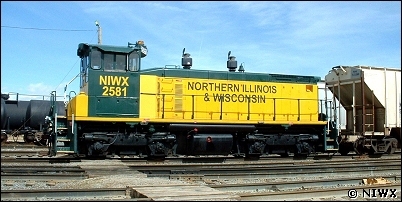 Northern Illinois & Wisconsin Railway Corporation, doing business as NIWX Corporation, is a locomotive leasing, finance and equipment management company founded in 1999. NIWX sells and leases low horsepower General Motors Electro-Motive Division (EMD) switcher and road switcher locomotives, General Electric (GE) road-switcher locomotives, and Caterpillar re-engined switcher and road switcher locomotives. Locomotives are inspected, reconditioned as necessary, fully qualified and are in excellent condition. A service provider of your choice, and can be tailored to your requirements. Our number one goal is customer satisfaction; our aim is to exceed your expectations. Please contact us for more information.